Jason squared? Possibly even Jason tripled, or whatever the mathematical equivalent of a tripling of something may be. 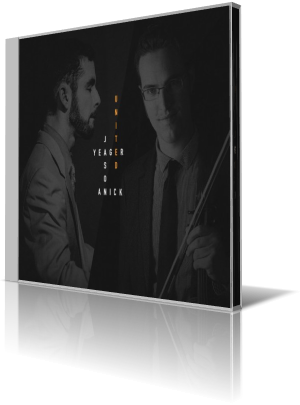 Jason Anick and Jason Yeager team up for pleasing mix of old and new with United (Inner Circle Music, 2017). The musicians are Jason Anick, violin and mandolin; Jason Yeager, piano; Greg Loughman, bass; Mike Connors, drums; John Lockwood, bass; Jerry Leake, percussion; Jason Palmer, trumpet; Clay Lyons, alto saxophone; and George Garzone, tenor saxophone. Often, people who aren’t used to jazz will describe the sound as “so relaxing.” To many, that is taken as a bit of an insult – as if the speaker is saying jazz is boring, sleep-inducing. 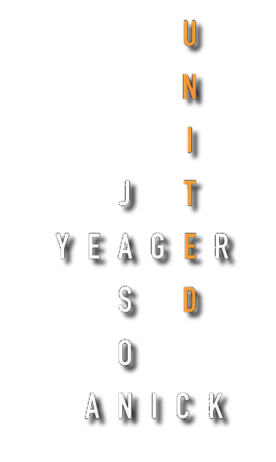 United is one example of how that description, relaxing, can be both accurate and positive. The music has an ambient quality. Anick plays the violin like a classical musician who frustrates conductors by deviating from the strict process of playing notes exactly as they are written. The subtle play of piano, bass and drums contribute to a sound that soothes the listener of the day’s stresses. Highlights include the haunting opening, “Achi,” the lively “Well Red,” which draws some of its energy from Palmer’s trumpet, the cover of the Beatles’ “Something,” which has Anick on the mandolin, and “Turbulent Plover,” which adds the richness of Garzone’s tenor. Anick composed two of the six originals in this 10-song set. Yeager wrote the others. United is the pair’s first effort as co-leaders. Anick is the anchor to the ensemble known as the Rhythm Future Quartet. Yeager is an established leader in his own right. Anick and Yeager have been friends since they were teenagers. Both are instructors at the famed Berklee College of Music.